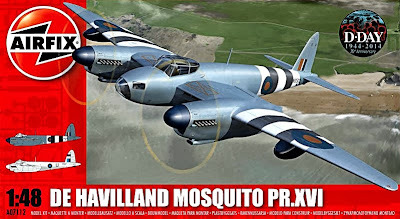 2014 looks like being a vintage year for Airfix, with a range of new-release and new-tool subjects in various scales. 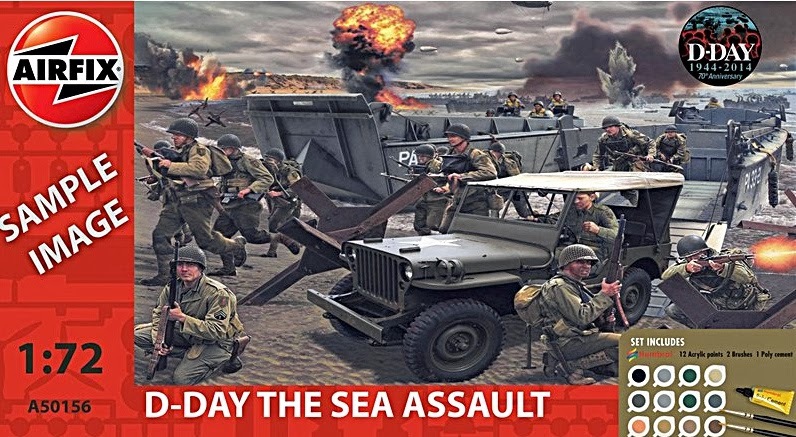 Here we look at some kits designed to partner with the D-Day landings that commenced on June 6, 1944. 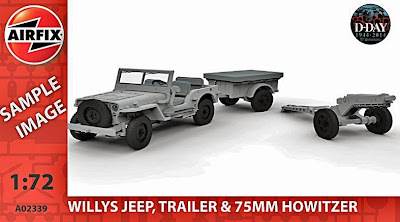 New-tool D-Day kits include the 1:72 scale Jeep, Trailer and 75mm Howitzer trio (below). Scaled to fit with the expansive Airfix range to this scale, the Jeep will fit nicely with dozens of aircraft, including a new-tool Douglas Dakota, also due for 2014 release. 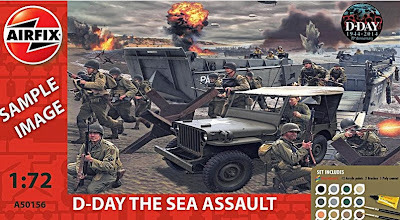 The D-Day Assault grouping (header pic) is a real bonus for diorama enthusiasts, with Jeep, Landing Craft and troops all included in the box. As usual with these combo sets, paints (12), brushes (2) and a tube of polystyrene cement are included, as is the D-Day logo adorning the box. The box-art looks pretty impressive, too. 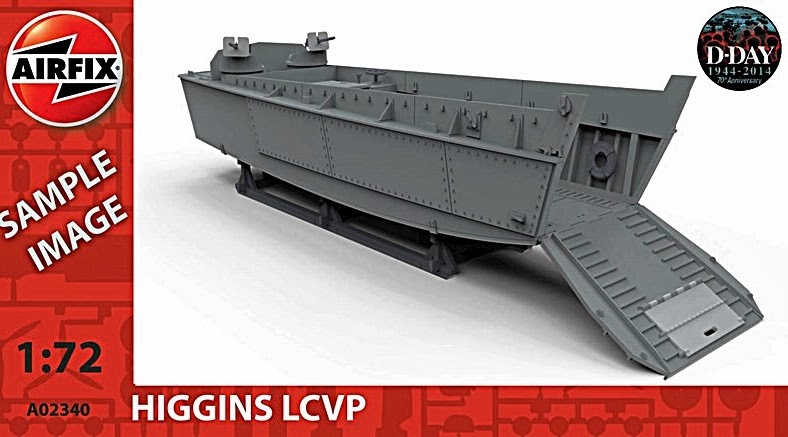 The new-tool (above) Higgins LCVP (Landing Craft, Vehicle, Personnel) reflects the importance of this craft, of which more than 20,000 were made. 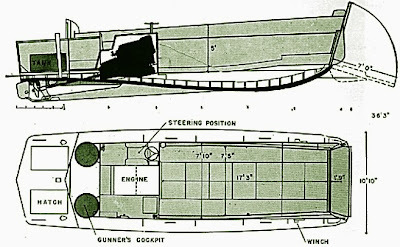 Each LCVP (scale plans below) could carry 36 troops through the water, travelling at some 9 knots (17 km/h). The photograph (below) was taken during the US landings on Omaha Beach, Normandy, and clearly shows the drawbridge-style bow door, down which soldiers entered the water to wade ashore. 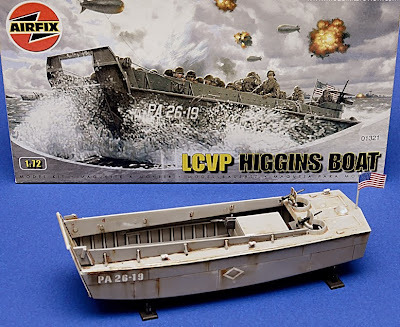 Airfix isn’t new to the LCVP (below) but we expect the new one to be a better kit all round, reflecting the improvements made to kit technology, particularly in the last decade, with ultra-high precision techniques made available through computer-aided design and production. 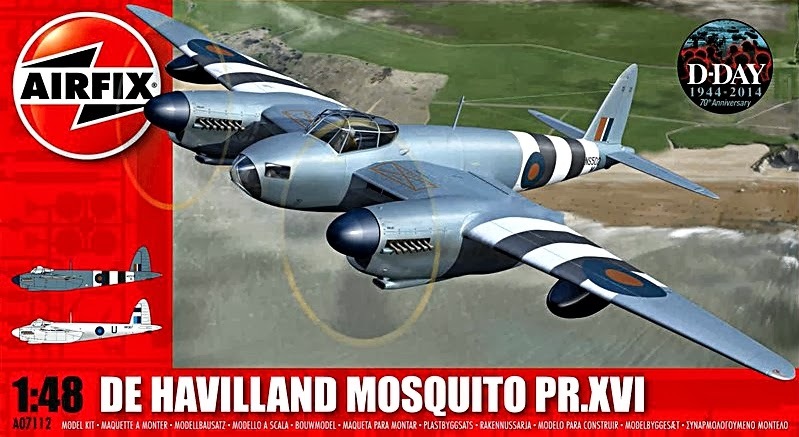 Going a size up to 1:48 scale, but retaining the D-Day box-logo, is the photo-recon de Havilland Mosquito PR XVI (below) complete with clear nose, and the zebra-stripe markings chosen to make Allied aircraft instantly identifiable during the invasion. This is a nice-looking kit, though we’re hoping that Airfix has given some details (such as the exhaust stacks) the once-over for what is labelled a ‘new’ item. 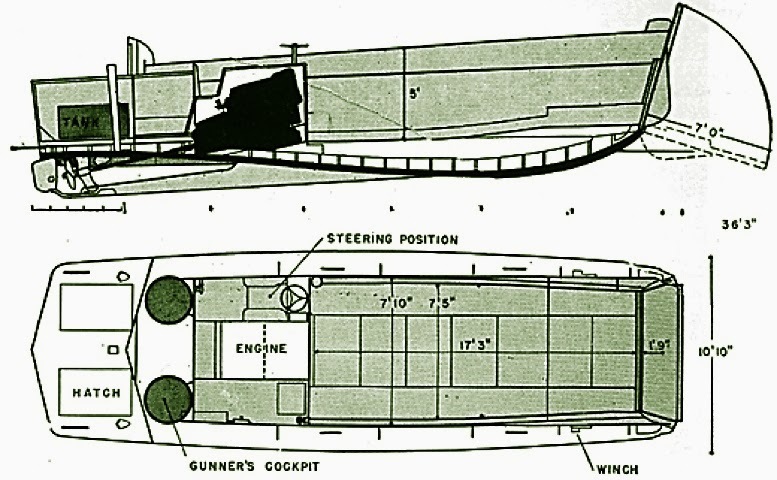 It’ll build to a decent-sized display model, with a wingspan of 343mm (13.5in), assembled from 127 components. 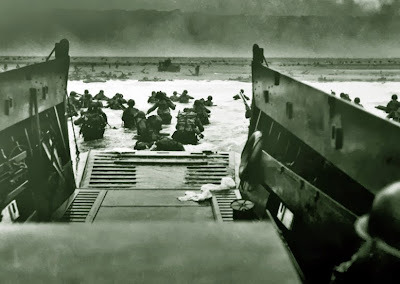 Airfix kits by the gazillion here. LCVP kit photo courtesy George Collazo/Model Kits Review.